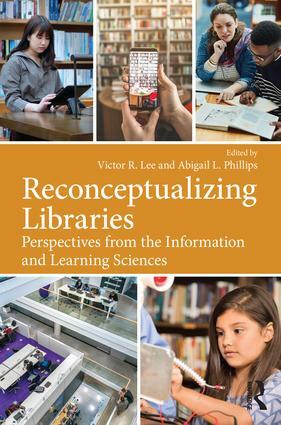 Reconceptualizing Libraries brings together cases and models developed by experts in the information and learning sciences to identify the potential for libraries to adapt and transform in the wake of new technologies for connected learning and discovery. Chapter authors explore the ways that the increased interest in the design research methods, digital media emphases, and technological infrastructure of the learning sciences can foster new collaborations and formats for education within physical library spaces. Models and case studies from a variety of library contexts demonstrate how library professionals can act as change agents and design partners and how patrons can engage with these evolving experiences. This is a timely and innovative volume for understanding how physical libraries can incorporate and thrive as educational resources using new developments in technology and in the learning sciences.